We are overwhelmed! Alot more people responded to our call for help on the 1994 mod than I anticipated. Many talented and interesting people who want to know what to do next. AndreasT and I are doing extra shifts to review cars and have enough cars ready to assign. As if he’d know we’d be posting this Call-for-modelers, David Alby Medina contacted us in the week before. He was interested in modeling for the team to improve his portfolio. After short talks, he agreed to provide the helmet we have been looking for almost 2 years. The story story about the 1994 helmet was another one of the long ones. For the 2006 mod we had the awesome helmet model by Eugenio Faria, unfortunately he wasn’t available anymore to help us create a new helmet for 1994. Marco started a helmet, but quit half way through it. Afborro succumbed to our begging at the beginning of the year, but was cut short due to his commitment with Reiza. We were looking for external helmets, but none from that time period met our expectations. 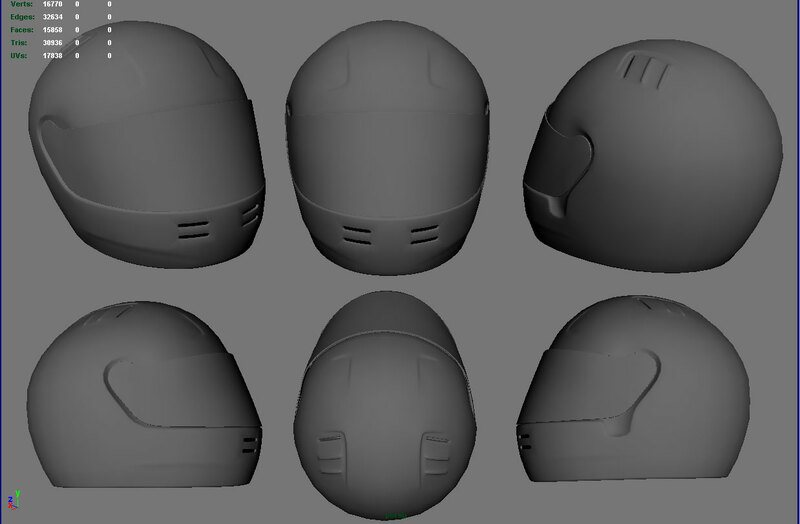 Now thanks to DAM, we have our helmet and he a great piece for his portfolio once it is finished. 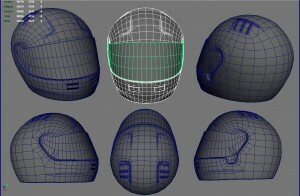 This is the the helmet of Ayrton Senna, of who we happen to have the most and best reference pictures. There will be 2 more common variants of the helmet for other drivers. Now with the helmet done, our helmet painters can finally start to work their way through the drivers list. This is such a great news! I mean: as a guy who’s waiting for the mod I’m happy to see that things can now go on, but I’m even happier for you. I didn’t expect to read such a news, knowing how usually these “call for arms” go unnanswered. Can’t wait for more news: a big welcome to all the new members! Looks neat, great to see a response to your call, a rare happening indeed. In the composition you’ve shown, the triangle count, is that for 1 helmet, or were there 6 copies of it in the scene? 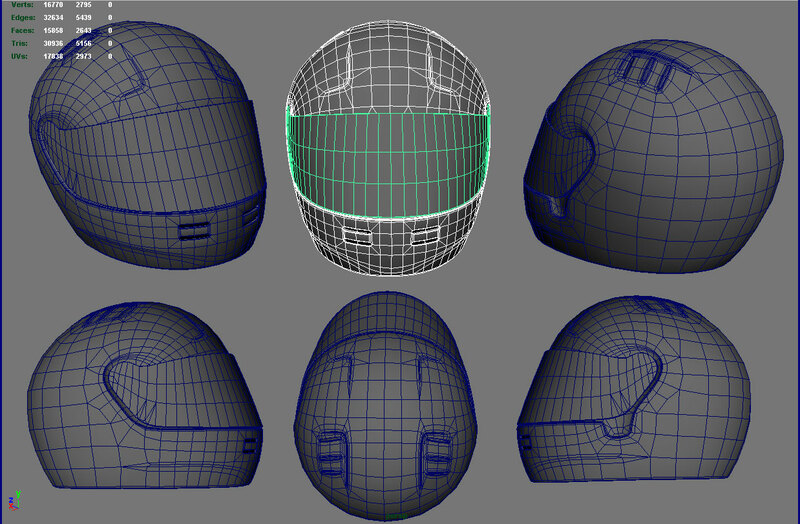 Because 30k polygons for a helmet, would be extremely high ! 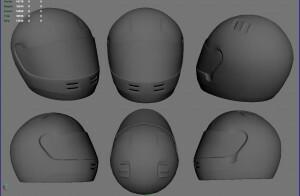 This model will be helmets? I Modeller. I did model helmet Ayrton Senna.